Heller’s thought-provoking and inspiring book surveys the history of higher education in the United States in the second half of the 20th century. The author provides a contemporary intellectual history of the USA, with a view towards recent tendencies. The work charts the development of the US academe, concentrating on the social, economic, and ideological functions universities have performed since 1945. Heller also investigates the undeniably outstanding achievements of US scholarship in the humanities and social sciences, and points out the traditions of American higher education which, as he convincingly argues in his book, provide tools of resistance against neoliberal attacks. The author sets off on an intellectual journey from the ideological apparatus of the early Cold War, through the upheavals of the 1960s, to the contemporary problems of neoliberalism, postmodernism, and the ‘knowledge economy’ of academic capitalism. The work sheds light on how US educational institutions have been forced to choose between training students to question the regime and helping to perpetuate it. Heller argues that universities and campuses have gradually developed from places of knowledge production into battlegrounds in the contest between academic freedom, critical thinking, and the neoliberal corporate network increasingly encircling universities in the US. 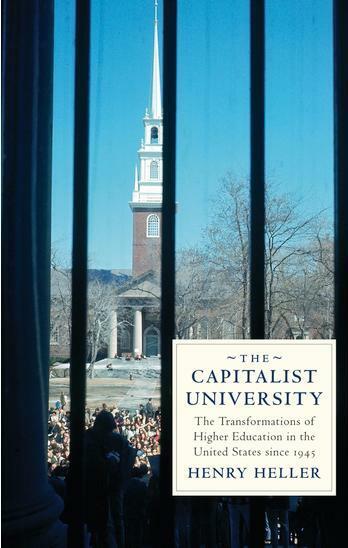 The author reveals that the growing resistance against the control exerted by corporate financial support and businesses over US universities is making these institutions more and more profit-oriented, bureaucratic, and prone to commodify their scholarly property. In addition, he also highlights the inherent crisis of capitalism in the 20th century and its evident presence in the early 21st century. During the first decades of the post-war era, institutions of higher education enjoyed massive governmental support and could freely maintain their critical vein in the scholarly as well as in the public domain. However, during the early years of the Cold War, this material wealth, expansion, and prestige were accompanied by a consistent bias against Marxism and later against any ‘suspicious’ critical practice which, as Heller candidly illustrates, started to imperil academic freedom. The ideological programs of liberalism, capitalism, and imperialism fit the anti-communist purges of the 1950s nicely, resulting in US universities not only assuming a counter-revolutionary character but also becoming more and more bureaucratic and institutional with ever-closer ties to the government and business. Heller goes on to show the growing influence of private corporations and the military, as universities were transformed into essential parts of what Antonio Gramsci called the ideological or non-coercive state apparatus. Institutions of research and higher education serve the state in pursuing and maintaining its hegemony by fostering a milieu in which one interpretation of reality becomes dominant and different forms of critical scrutiny of the existing order are marginalised. Gramsci claims that consensus is to be reached by persuasion and indoctrination. Within this context, Heller states that during the Cold War, private foundations subsidized research in social sciences aiming at winning the ideological ‘struggle’ between capitalism and socialism and pugging public opinion. Therefore, in this period social sciences began to dominate within the realm of the humanities, as these disciplines could best supply universities as effective ‘narrative centres’ with plausible master narratives employed in the intellectual struggle against international communism and in the service of liberal and ‘capitalist nationalism’. Moreover, ‘positive knowledge’, namely objective, disinterested, and ‘value-free’ learning, was amply and more easily proffered by social sciences. In contrast, other disciplines of the humanities tended to prefer critical thinking with its inherently incomplete body of knowledge, which is anchored in historical development and is, thus, part of an ongoing process. According to the author, the first stage of the transformation was to compartmentalise knowledge and establish a hierarchical organisation with efficient administrators who resembled managers of corporations: “In other words, the dividing up of the disciplines into specialties under the control of academic departments helped to block the aspiration toward a holistic understanding of society and culture which loomed up through the rise of the working class and Marxism” (32). In addition to this, economics was seen as a discipline independent of other social sciences which more and more viewed capitalism as the most stable socio-economic system. It was thought that “a quantitatively rigorous analysis of markets supplemented by government intervention could provide the means to bring the capitalist economy under control” (57). This new, social scientific interpretation tended to push historical thinking to the background and render it passé: “The fundamental political problems of the industrial revolution had been solved: the workers had achieved industrial and political citizenship; the conservatives had accepted the welfare state; and the democratic left had recognized that an increase in overall state power carries with it more dangers to freedom than inequality and poverty” (35). Heller draws a parallel between purging Marxism from US universities and both the Soviet Union and the American Communist Party abandoning revolutionary change and dedicating themselves to evolutionary change as a way towards socialism. This turn coincided not only with disarming American communists and further confrontation with the USSR, but also with growing labour unrest and an attack on Marxism, which damaged US intellectual life and, to a certain extent, isolated it from other parts of the world. The upheavals of the 1960s with their intense social and political debates, including social questions and the excess power of the state, also addressed the issue of private corporations increasingly imperilling the possibilities of independent and critical teaching and research. University students who could not raise their voices during McCarthyism could now protest against corporatism. Thereby, they could also reject the importance of the accumulation of knowledge for innovation, which is, paradoxically, impossible without the accumulation of capital that simultaneously limits the functioning of the former. Moreover, this turn also brought historical thinking back into the focus, once again drawing attention to US capitalism and its institutions as integral parts of the world history of capitalism. However, from the 1980s, with the loosening of Cold War tensions and the strengthening of the new neoliberal order, the ideological bias gave way to universities becoming more profit-oriented instead. 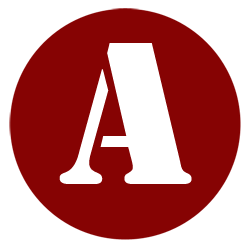 At the same time, the normative nature of US scholarship and teaching in the humanities and the social sciences, as a ‘heritage’ of the Cold War and the counter-revolutionary character of US intellectual life in these decades, internalised regulation in theory and critical thinking in the long run. What is more, the simultaneously growing commodification of intellectual property showed in turn the real nature and crisis of US capitalism through the lenses of universities: the way ‘academic’ capitalism can parasitize and undermine those practices and institutions which once helped sustain it economically and ideologically. Furthermore, the author draws a parallel between the revolutions of 1848 and American scholars’ struggle against the system of neoliberalism. Those who “supported the 1848 revolutions had aspirations to upward social mobility, but were destined to become fully proletarianized as part of a fully developed industrial capitalism that eventually engulfed them. They were resisting further proletarianization in a way that resembles the struggle of academics today to hold onto the remains of autonomy and professional status under the onslaught of neoliberal academic capitalism” (99). Nevertheless, paradoxically again, Heller also points out that “[e]ducation for the neoliberals is by no means a public right but rather a potentially profitable private investment” (187). In its most recent form (neoliberalism), capitalism demotes universities as less useful for their own continued existence. Though public funding was originally aimed to endorse the development of an intellectual infrastructure and to produce a better educated workforce, it does not seem to perform this function any longer. Consequently, neoliberalism effectively demolishes critical and creative higher education and academia as one of the most supportive systems for sustaining capitalism. Accessible in style, The Capitalist University is recommended to scholars in the humanities and general readers of interest alike who are concerned with the crisis of neoliberalism as a socio-economic and political system and the transformation of universities into manufacturers of commodified learning. As for the shortcomings of the work, while the book offers valuable insights into post-war US intellectual life, it is still questionable to what extent developments in the American academe reflect European and international tendencies. Indeed, it is arguable whether this scheme of interpretation could be employed in a European academic context at all. In addition to this, the ‘struggle’ between neoliberal corporatism and ‘socialist utopia’ seems to be a simplified theoretical rendering and modelling of the otherwise intricately mapped and complex changes of US academic and intellectual life after 1945. I think this can be explained by the fact that, although Heller’s edgy critical perspective enables him to point out the most prevalent cleavages between true scholarly interests, creative research and teaching, academic freedom and corporatism, the author’s presumptions are derived from ‘intellectual socialism’, which, like other ‘Marxisms’, partly pre-determines its outcomes as a due result of the dialectical mode of thinking.